Tanade Darod Online welcomes everbody who has biliteral interests as well as multi-literal cooperation with the Tanade Darod Tribe. The Somali Tanade Rights Watch is the tribal Rights Watch of the Tanade Darod Genealogy therefore if you want to deal with The Tanade Darod please Welcome with open hands!!! The Tanade Political Committe is the Tanade Darood Tribal Executive Political Committee, which can deal with you when and where you want but make sure that you are working with right Tanade Political Committe representatives or otherwise you will be loosers! There is no corruption among the Tanade Darod genealogy!!! If you try to bribe someone directly, we will know soonest! We are very clear to save our tribal interests and have effiecent relationships with the International Community as well as NGOS operating in our residential zone in the Republic of Somalia. We will promote human rights, animal rights, environement protection and help the poor including orphans!!! We have bi-literal and multi-literal cooperation with anyone willing to assist us in order to reach our noble goals and solutions. The Somali Tanade Rights Watch and The Somali Tanade Political Committee do hereby declare to you to the UNHCR that you have published falsified tribal information of the Somali Tanade Darod Tribe sub-clan Leelkase in your website. Tanade Darod was one of the sixth sons of the Darod genealogy, and the oldest son of Darod. Tanade Darod commonly known as Leelkase gace birth 6 sons, one of the sixth sons became the first Somali king and named his kingdom after his name Diiftire kingdom. Tanade Darod has got five members of parliament and two ministers in the Current Somali Transitional Federal Government as well as another minister and two members of parliament in the Puntland administrational state. Please The UNHCR must not insult us because the name Her is not apart of our tribal genealogy therefore Leelkase is one of the sixth sons of the Tanade Darod Genealogy. 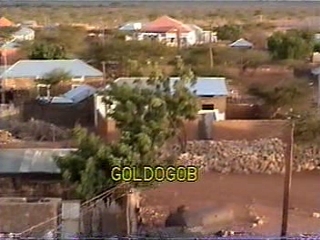 Tanade Darod (Leelkase resides in these regions: Barri, Garowe, Mudug, Banadir, Baidao, Jubbland, some parts of Ethiopia and thier own district Goldogob in Mudug region. Please search the tribal history of the TanadeDarod genealogy carefully and delet your falsified information in your website otherwise we will sue you directly. Kadib hadalkii la yaabka lahaa ee ka soo yeeray guddoomiyaha degmada Gaalkacyo waxay beesha Leelkase isugu timid kulan wada-tashi ah oo ay kaga arrinsanaysay waxey ka yeeli lahayd hadalkii riyo maalmeedka ahaa ee ka soo yeeray Xuseen Jaamac Yabaq, kuna saabsanaa qaybinta maamulka degmada Gaalkacyo. Shirkaas oo la iskula soo qaaday arrimo badan oo quseeya guud ahaan gobolka Mudug gaar ahaan degmada Gaalkacyo iyo maamul u samaynteeda, ayaa la isku raacay qodobadda soo socda. 1) Beesha Leelkase waxey gebi ahaanba kala laabatay taageeradii ay u haysay maamulka degmada iyo guud ahaanba maamulka gobolka, waxeyna si toos ah u joojisay canshuurtii ay bixin jirtay beesha ee degmada Gaalkacyo. 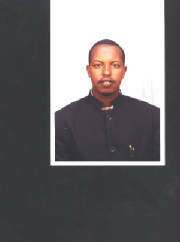 3) Beeshu waxay shir deg deg ah ka yeelanaysaa guud ahaan siyaasada maamulka Puntland. 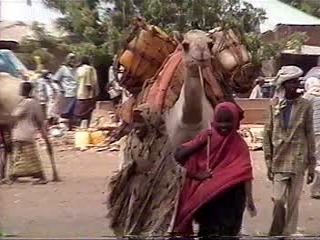 4) Beeshu waxey ugu baaqaysaa madaxweynaha MGP iyo baarlamaanka MGP in ay si deg deg ah u soo fara galiyaan qalalaasaha siyaasadeed iyo kan amni ee ka jira degmada Gaalkacyo. 5 ) Beeshu waxey soo dhaweynaysaa cidkasta iyo beelkasta oo doonaysa in xal la gaaro. 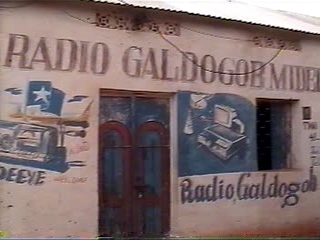 qodobadaan waxay dhaqan galayaan laga bilaabo maalinta go'aankaan la qaatay oo ah 30/12/05.